Struggling to come up with that perfect Valentine’s Day gift? We’ve got your back! 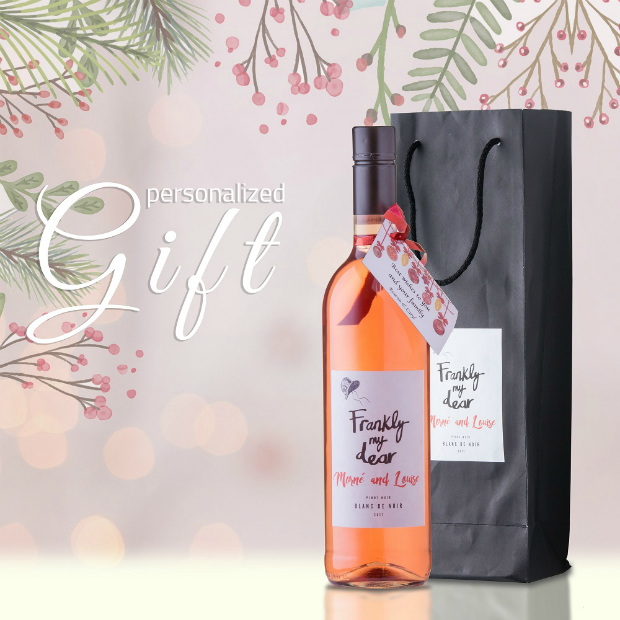 Frankly My Dear is Esona Boutique Wine’s Pinot Noir Blanc de Noir that can be ordered as a personalised bottle for delivery to anywhere in South Africa (delivery cost included). We are giving away not one, but two bottles to nine lucky Food24 readers. One for you and one for your loved one? Both for your loved one? The only catch is that both bottles have to have the same messaging on them! To enter, include the message you would have printed on the bottles' neck tags in the entry form below. We’ll pick the best 9 and announce the winners on Valentine’s Day. Ts and Cs: Prizes cannot be redeemable for cash, are non-transferable, and winners must be over the age of 18. Esona - Xhosa for 'the very one' – is a husband and wife owned boutique winery nestled beside the Breede River in the Robertson Wine Valley. The farm is maintained by a small team that knows every vine through their hand-picking of the grapes, which are then handcrafted into wines that articulate expressions of the vineyards, emphasizing individuality and celebrating its complexity. Proud producers of Sauvignon Blanc, Chardonnay, Chenin Blanc, Shiraz and Frankly My Dear Blanc de Noir.